Have you ever wanted to craft monster eggs? 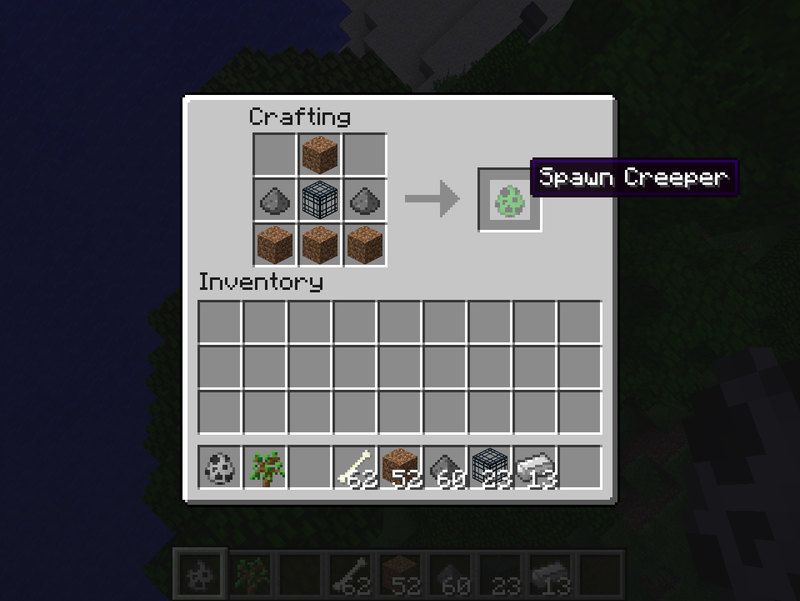 Well with SpawnerCraft you can do that! Just look at the recipes and then craft what monster egg you want. Recipes for all monster eggs! Just place the correct items in the crafting bench and out comes what you want! @Kino876 Yep no problem please report more things you do not like. I would love to make It better for you and your server. Hi, thanks for the effort NateD101, I'll check it. Okay I fixed It and uploaded a new file. Hope you like It! Okay I will look into that! On my server, the players can buy mob spawners at a high price, so I can not do that because if they buy a mob spawner and then can't be placed!! !..., perhaps another solution is possible?. Can you make the spawner not working?, I don't want the players be able to create a pig spawner before making eggs spawners. Please comment about this plugin! Thanks!